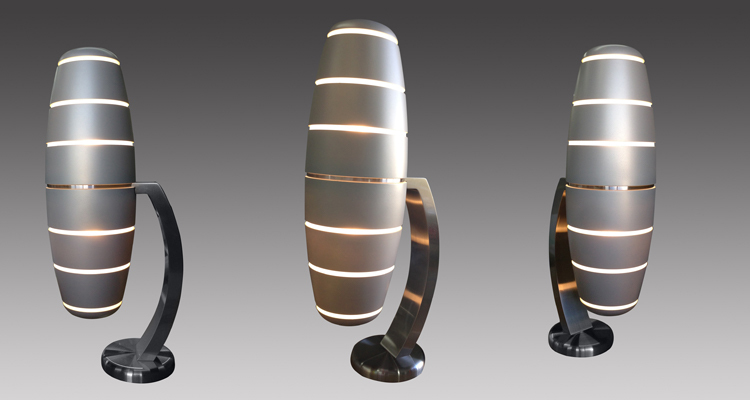 JBRND makes custom lamps for aircraft, built to exact design specifications. We build and assemble these lamps to be as lightweight as possible, and offer nearly limitless finishes, colors and lighting options. 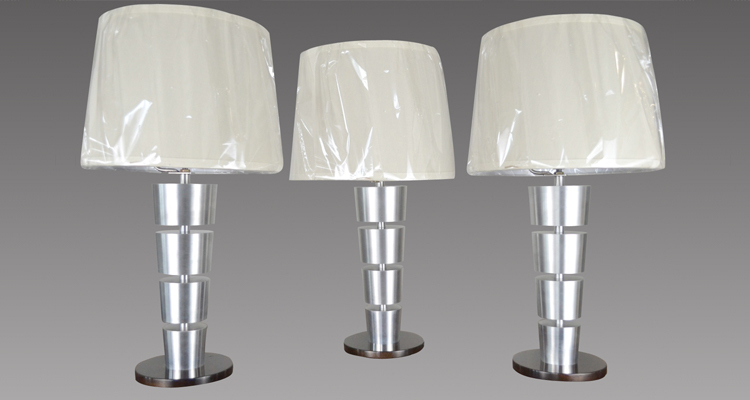 Take a look at a few examples of the modern & traditional style lamps we’ve made at JBRND. Built to exact specs, our lamps are some of the finest examples of modern lighting hardware you can put in a VIP aircraft. From lightweight finishes and led light options, down to the electrical, aircraft lamps made by JBRND come in white and RGB+white LED color options. We offer smooth dimming options. Aircraft lamps by JBRND are connectable to the aircraft via CMS system. These lamps also come with capacitive touch switch options, and hand wave motion switch option (with an IR sensor.) LED lighting in our lamps means using less energy with greater overall luminance, with fine-tuning ability you’ve never had before in flight. Our lamps come with lightweight mounting options. Voltage Options: 28VDC or 110VAC 400Hz – 800Hz. DO-160 Certified Lights. While we get together more information on our lamps and custom lamps, please get in touch with us today to get more information.